Przyczepa do quada i UTV z kosiarką z silnikiem Hondy GX390 13KM NOWOŚĆ! 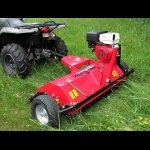 Flail mower to be used with ATV/UTV or a small tractor. 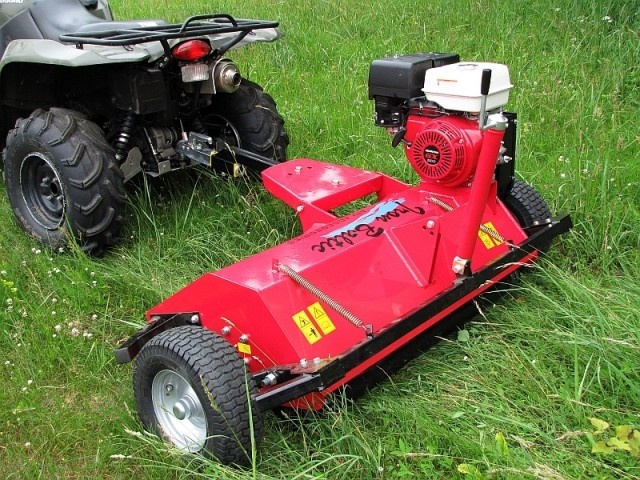 Cuts effectively the large grass fields, lawn or roadsides. Possible to adjust the working position from directly behind the ATV on to the sideways of the ATV (towing machine).